A few things at the outset. President Obama will choose a liberal. Forget anything to the contrary. Whoever Obama picks will be on the opposite side of the hot-button issues from the very politically conservative Justices Scalia and Thomas, as well as the somewhat more moderately conservative Chief Justice Roberts and Justice Alito. Yes, Obama might choose someone who is "centrist" or "moderate" in a vacuum. But in the context of the current Court, that someone will be on the liberal side of the spectrum. Let's be serious. Obama's not going pick someone who would have written the "torture memos." He's not going to appoint someone whose views on abortion rights, gay and lesbian rights, separation of church and state, the rights of the accused, affirmative action, civil rights, international legal obligations, and other politically charged issues would be aligned with conservative Republicans. On all or most of those kinds of questions, Obama's appointee will surely share the views of liberal Democrats. Certainly "liberal" on the national political spectrum. Additionally, Obama's pick for the Court will have very strong credentials. Remember, the President graduated from Harvard Law, he was the editor-in-chief of its law review, he married a Harvard lawyer, and he taught Constitutional Law at the University of Chicago. He's not going too far down the legal food chain to select a Justice for the high Court. His appointee will almost certainly be someone educated at an Ivy League institution or at an equivalent such as Virginia, Chicago or Stanford. And his appointee will have a very impressive post-school resume. A prestigious judicial clerkship, work in an important federal or state law enforcement office, experience as a judge on a federal appeals court or state supreme court or as a governor or U.S. Senator, or a distinguished academic career. Of course, there's at least one more consideration that can't be ignored. Diversity. Obama's pick will very likely fill a gender or ethnic gap on the Court. Maybe both. Only one woman currently on the Court! Embarrassing for an institution committed to equal justice under the law. The President and his wife know--and feel--that. So a woman appointee is a good bet. No Hispanics on the Court! Never been one. (OK, some might ask about the great Benjamin Cardozo. I asked the same when Governor Cuomo appointed Carmen Ciparick to New York's high court and she was heralded as its first Hispanic judge. What about Cardozo's earlier tenure on that court? Well, fact is, Cardozo's family ultimately derived from what used to be called Iberia--the land mass now including Spain and Portugal. But his family came from the latter part. I've been told--no, lectured--that Cardozo was therefore Portuguese, not Hispanic, and that I should keep the two distinct. I have ever since.) Of course there are political reasons for Obama to choose an Hispanic. So there's a pretty fair chance for that as well. And if not this appointment, then the next one. As for the judicial, Obama will surely want to do more than merely replace Souter's one liberal vote for another. If he wants to change the direction of the Court, alter the somewhat conservative leanings that have characterized its jurisprudence for almost a third of a century, Obama will need to do more. He will need to appoint someone whose influence on the institution goes beyond casting votes with the liberals. He will need to appoint someone who can influence other Justices. Someone who can get votes. Someone who by strength of intellect or personality can persuade some Justices to vote contrary to their more typically conservative instincts. As for the political, Obama has no need for a bruising confirmation battle. He has far too much on his plate. The economy, health care, two wars, etc., etc. He can't afford to expend too much political capital by nominating someone too offensive to the Republicans and perhaps, as a consequence, unpopular with too much of the public. With that as a preface, here's my short list of who might be on Obama's short list. There's 3 judges, 2 deans, and 1 governor. Appellate experience--she's a judge on the 2d Circuit, the federal appeals court that sits in Manhattan. First rate education--Princeton undergraduate and Yale Law. Litigation--she was a prosecutor in the Manhattan (i.e., Robert Morganthau's) district attorney's office, the nation's most prestigious and distinguished DA's office. 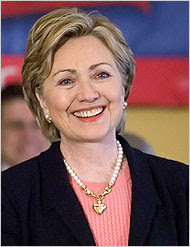 Bi-partisan--she was appointed to the federal trial bench by Bush, Sr., and to the appeals court by Clinton. She's 1) a woman and 2) Hispanic (Puerto Rican heritage). And to top it off, she has a moving life story of rising from modest and difficult circumstances. She is the current conventional wisdom's front runner. Possible drawback: serious questions have been raised about both her intellect and her personality. For starters, there are some who say she is hardly the intellectual heavyweight or infectious personality needed to counter the conservative candlepower of a Scalia, Roberts or Alito. If true, she would not be much help in bringing change to the Court's conservative leanings. Who knows for sure? I don't. Not personally. She could actually be brilliant and charming. But she could also be quite far from either--which is what is being said. In any event, what has been written and said, by those who might well know (see Jeffrey Rosen's "The Case Against Sotomayor"), is more than enough to give pause. Let's be blunt, if Obama has heard what Rosen has been told--and what I too have been told by people who would know--it's hard to imagine that he would choose her. Indeed, if the assessments and criticisms are at all accurate, she does not belong on the Court. She apparently does have the candlepower. Lots of it. And she's had to use it on the 7th Circuit, the conservative federal appeals court that sits in Chicago. She has had to deal with Richard Posner and Frank Easterbrook, two of the acknowledged genuine brilliances of the federal judiciary. Her dissents on that court evince an uncowered intellect ready and willing to go toe to toe with the best and brightest--a class that would certainly seem to include herself. She has already worked at the Supreme Court. Following her graduation from Texas Law and then a clerkship at 5th Circuit, she served as a law clerk to Justice Harry Blackmun. She then practiced at Covington & Burling, one of the nation's truly premiere law firms. She was a professor at Georgetown Law and then at Chicago (along with Obama), where she continues to teach. She served as an assistant attorney general in the Clinton administration until he appointed her to the appeals court. Possible drawback: her dissents in some high profile cases, which are critical of her colleagues' conservative decisions, may serve as political fodder for Republican senators who want to take a stand against the President for nominating a "liberal activist" judge. Possible drawback: Governor Perdue and the Georgia Republican party actively opposed Sears's reelection as Chief Justice in 2004. That may well be a preview of Republican senators' opposition to her as, you guessed it, one of those "liberal activist" judges. Former (and first woman) dean of Harvard Law. Education--Princeton, Oxford, Harvard Law. She has already worked at the Supreme Court as a law clerk to Justice Thurgood Marshall, which followed her clerkship at the D.C. Circuit. She was a professor at Chicago before working in the Clinton administration as an assistant White House Counsel. She is currently part of the Obama administration as Solicitor General--hence, she is responsible for representing the United States before the Supreme Court. Possible drawback: she was already blocked once for a judicial appointment when Clinton nominated her for the D.C. Circuit. Former (and first woman) dean of Stanford Law and previously a professor at Harvard. A graduate of Cornell, Oxford, and Harvard Law (where Laurence Tribe is quoted as saying that she was the "most extraordinary student" he ever had). She clerked at the D.C. Circuit, she has argued many high profile cases before appellate courts including the Supreme Court, and she is widely considered one of America's most influential lawyer's and one of its most distinguished constitutional scholars. 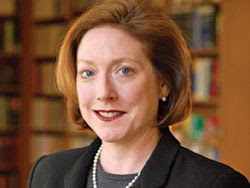 Possible drawback: as with any academic, especially a true scholar, she has an extensive paper trail in which she has explored difficult issues and undoubtedly expressed views that could be exploited by Republican opposition because of their unfamiliarity or unpopularity with the general public. The current Governor of Michigan. Graduate of Berkeley and Harvard Law. (Both with honors. So no need to be distracted by her past as a beauty queen and her attempts at a Hollywood career.) Following law school, she clerked at the 6th Circuit. She then served as a federal prosecutor and the Michigan Attorney General before being elected and reelected (the state's first woman) Governor. An active supporter of Obama for President, she played the role of Sarah Palin in mock debates with V.P. candidate Biden. She was a member of Obama's transition team. Possible drawbacks: as a Governor in a state with the declining auto industry and a failing economy, she has her hands full with crisis after crisis and with decisions unpopular with her Republican opposition in the state senate--some of which might well spill over into Republican opposition in the U.S. Senate. So there are the 3 judges, 2 deans and 1 governor that make up my short list--of Obama's possible short list. But let's remember Mine That Bird. A 50-1 shot winning the Kentucky Derby last weekend. So, this may well be the season for long shots. Here are a few other possibilities. And their odds are probably much better than the Derby winner's were. What about a few guys? Okay. Now there are some extraordinary potential Justices among those I've listed. (Excluding, perhaps, the supposed front runner. Is that ironic or what?) I'm not sure who I'd put at the top. Excluding the men wouldn't make it easier. For me, it would be very difficult to choose between Diane Wood, Leah Sears, Elena Kagan, Kathleen Sullivan, and Hillary. Although I must admit, I think the world of Hillary and I'd personally be thrilled if she got the nod.